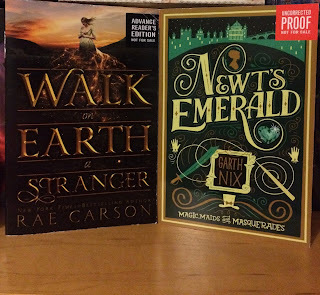 The Fox's Hideaway: Because Everyone's Awesome Giveaway! Hello my lovelies! 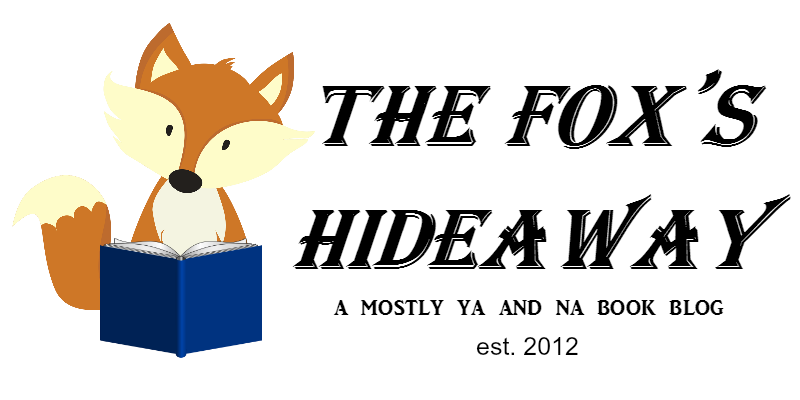 I'll be doing another post later on about my feelings on book blogging, but I just wanted to share a little bit of what's going on. I'll be taking a break for the semester. Yes, I know that's very long, but I'll still be posting here and there. I just don't wanna feel guilty about not getting posts up often, and quite honestly there is a bit more with this break than just not feeling guilty, but I'll talk about that in-depth on the 31st. But I'm here today with a giveaway for y'all! To say thank you for sticking with me through everything, and to say thank you for continuing to read my posts. It makes me feel so good that my words are not just being shouted into the void, that people actually care about what I have to say. I know I haven't posted much, and I hate that I've kind of just let this go in the last few weeks. It's been a pretty terrible month, but blogging had always been a positive force for me, and yet I couldn't find the energy or desire to write up posts. And because of that, The Fox's Hideaway has been left pretty...bare. And I'm working on all of that, but it's been hard, I'm not gonna lie. So I think the break will be good in that regard, and I hope to come back refreshed and with a full creative well again. I want to get back to that place when I first started, and I want to branch out from books and turn this into something that makes me feel happy to work on, and where I WANT to spend my time writing posts. So, yeah. Anyway! I didn't want to end this on a negative note, so I decided to host a really fun giveaway for you guys! And let's be real, you were here for that anyway and not to listen to me complain/rant about blogging and breaks. I don't blame you. If I do say so myself, I think I have some pretty awesome prizes for y'all. :D In case you didn't know, I went to BEA in May, and I have a ton of books I have either read already and don't want to keep, or I don't have any interest in. (Hence the whole Because Everyone's Awesome post title). And I want to give them away to people who would enjoy and treasure them, and help promote them too. There will be 3 separate Rafflecopters so you can pick and choose which prize packages you want to enter for. And that means there will be 3 winners! I want to keep this one short because a few of these books are coming out in September and I want you to be able to have them as close to their release dates as possible. You must be 15 years or older to enter. NO CHEATING! If you cheat, all of your entries will be deleted! All winners are chosen randomly through Rafflecopter. Any information you provide me for prizes, be it email or home address, WILL NEVER be shared with anyone (it will be deleted after I am ensured you received the prize). I will protect your privacy! If you don't respond to my email within 48 hours, a new winner will be chosen. I am not responsible for lost and/or damaged packages in the mail. Now that we got that out of the way, here is what you can win! 1. the "Dystopian" prize pack! 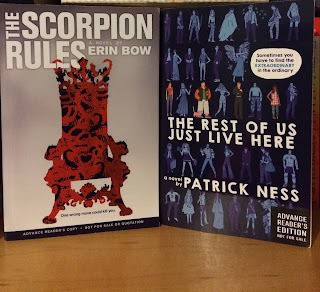 Okay, so Patrick Ness' book isn't exactly dystopian according to Goodreads, BUT I feel as though it goes with TSR because they're both basically alternate realities. (Also I needed a nickname, so voila). 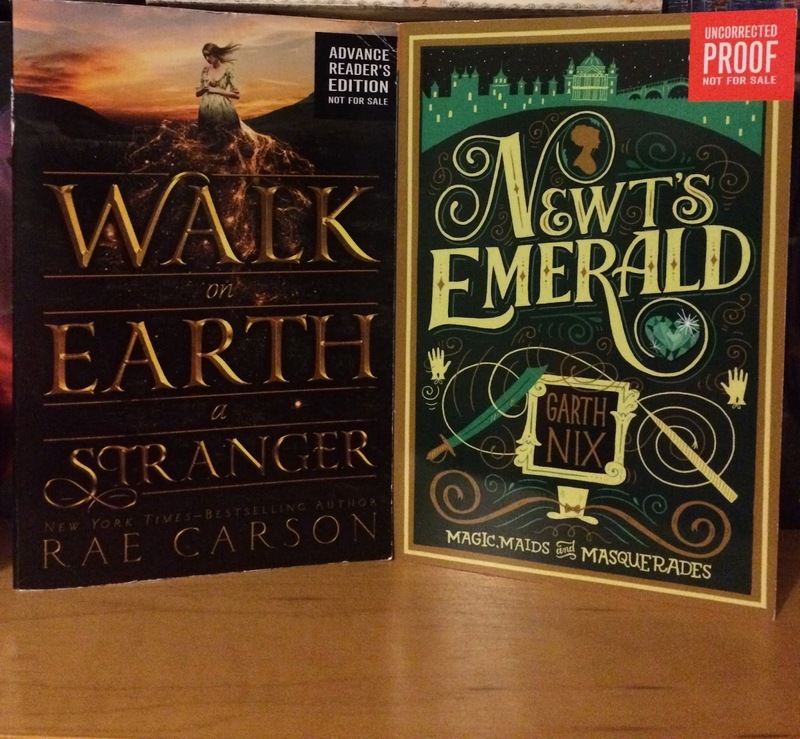 2. the "Historical Fantasy" prize pack! 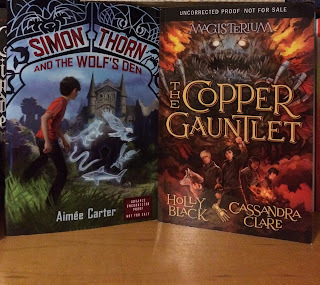 3. the "Middle Grade" prize pack! Yay! I love your giveaways! Thanks for such an awesome one! I'm subscribed to your mailing list now so maybe I'll remember to visit. I'd most like to win the middle grade pack! What a fabulous giveaway! So generous! I'd love to win the dystopian books :) But I'd be happy with any prize pack considering how awesome each one is. I think I'd want the historical fantasy most :) but of course I'd be happy to win any of them. I would love to win either the first or second one listed. I am not too into Middle Grade. So generous of you to hold this giveaway. Thanks for the chance to win!